From world class resorts to favors for your reception table - you can find everything that you need for your large or intimate wedding on Mackinac Island. This guide will give you all the vendors, ideas, and how to implement your dream wedding plans saving time and hour of searching on line. Victorian churches, garden gazebos, waterfront vistas, and romantic inns are among the popular sites where weddings are held. The backdrop of natural rock formations, sparkling blue water and victorian architecture, accompanied with excellent hotels and fabulous dining make wedding events on Mackinac memorable and captivating for you and for your guests. The Mackinac Island Wedding Guide is the official Mackinac Island Tourism guide to weddings published by Island Publications. Every business in the guide is a member of the MIT and is a wedding specialist on Mackinac Island. The cost of an Island wedding can be significantly less in some respects to having a wedding at home or at many other destinations. There are so many options and locations to choose - from the beach, the woods to the front porch of Grand Hotel- something for every taste and budget, all on this beautiful magical island. Every single day offers an opportunity to have the wedding of your dreams, as weddings take place on a weekday or a weekend, Spring, Summer, Fall & Winter. 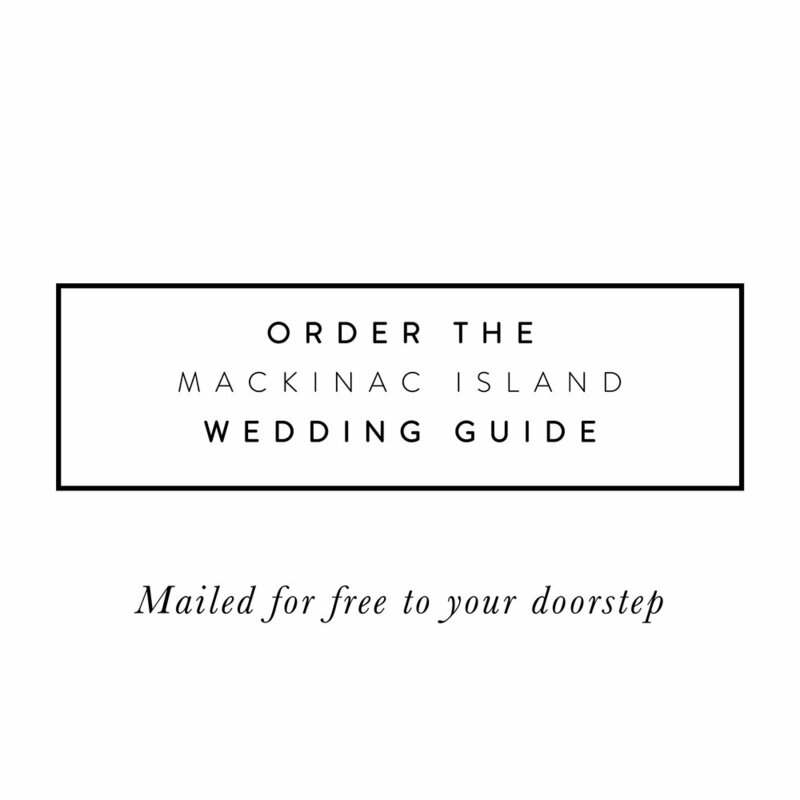 Order your free Mackinac Island Wedding Guide and begin your plans to get #MarriedonMackinac !